I. G. FARBEN: This German company built its own camp next to the main Auschwitz camp. Called I. G. Farben, Auschwitz, it was built to produce synthetic rubber and in 1943, produced 118,600 tons. At least 50,000 prisoners died during its construction from starvation and exposure to the cold. In its foundations lie the bodies of many prisoners who were buried where they fell in the wet cement. British POWs in the camp were forced to work building the camp during their 14 months imprisonment. As the Russians approached they were given the choice of marching East towards the Russian lines or west towards the Allied Lines 700 kilometers away. All chose to march west. The gas, Zyklon B, (used to gas prisoners) was produced by I. G. Farben’s subsidiary company ‘Degesch’. After the war, Degesch’s five directors were acquitted by German judges at the Frankfurt Trial because they decided that the accused could not have known what the specially ordered gas was actually for. 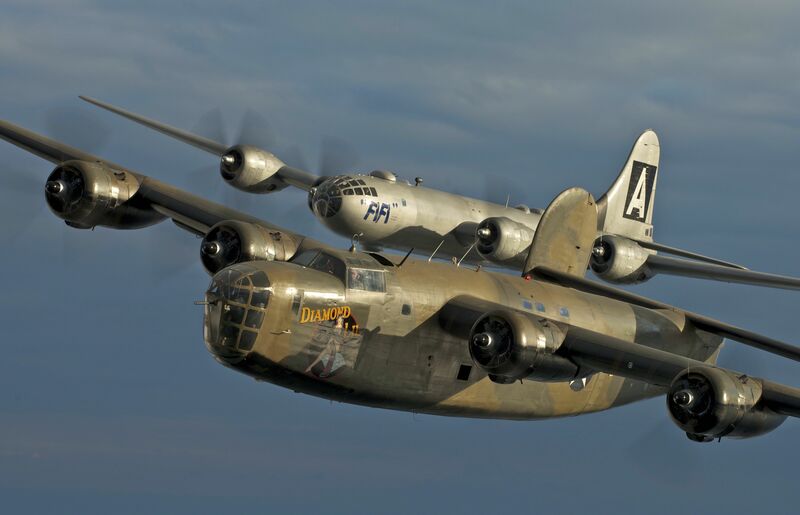 COPY CAT: In 1944, three of the most advanced strategic bombers to date – the B29 Superfortress – (built by U.S.) made a forced landing on Soviet territory after a raid on Japan. Stalin ordered that they be impounded. Two were dismantled completely and rebuilt in every last detail. The Soviet version made its first appearance after the war as the Tupolev TU-4. THE MARTIANS: This was the code name for a large intelligence group located in a large department store in London’s famous Regent Street. It was the Martians who kept the Allied commanders in the field fully informed about the activities of the German Wehrmacht. Most of their intelligence came from Ultra intercepts, which by mid 1943 were between 2,000 and 3,000 per day. These signals showed where each enemy division was located and what its strength in battle would be. Never in the history of war was a planning staff better informed of the enemy’s intentions. LITTLE BROTHER: Although not generally known, Albert Göring, the younger brother of Reich Marshal Hermann Göring, was an outspoken anti-Nazi. Arrested several times by the Gestapo, each time he was released by the intervention of the Reich Marshal. Albert was born near Mauterndorf in 1900 and became a successful businessman and, in later life, the Export Director at the Skoda Armament Works in Czechoslovakia. During his work there he helped many Jews escape the horrors of the Holocaust by forging his brother’s signature on their travel documents. The Jewish wife of composer Franz Lehar was one them. Returning to Germany after the war he was shunned everywhere because of his name. Living on a government pension he married his housekeeper as a sign of gratitude so she could receive his pension after he died. A week later, in 1966, he died. 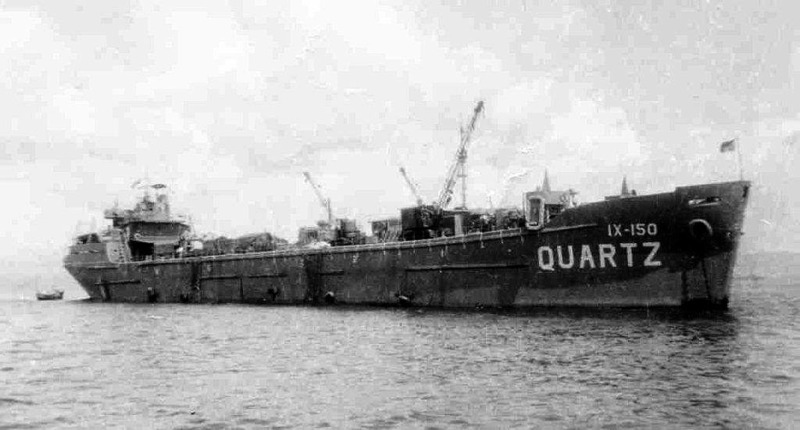 ICE CREAM BARGE: Perhaps the war’s most unusual ship was commissioned in 1945 at a cost of around one million dollars. 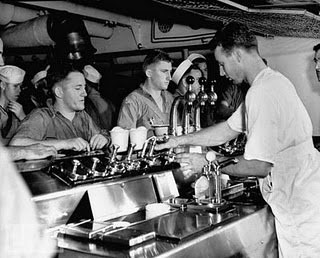 It was the US Navy’s ‘Ice Cream Barge’ the world’s first floating ice cream parlor. Its sole responsibility was to produce ice cream for US sailors in the Pacific region. The barge crew pumped out around 1,500 gallons every hour! The concrete-hulled vessel had no engine of its own but was towed around by tugs and other ships. A second barge, also in the ice cream business, and under the command of a Major Charles Zeigler, was anchored off Naha, Okinawa. 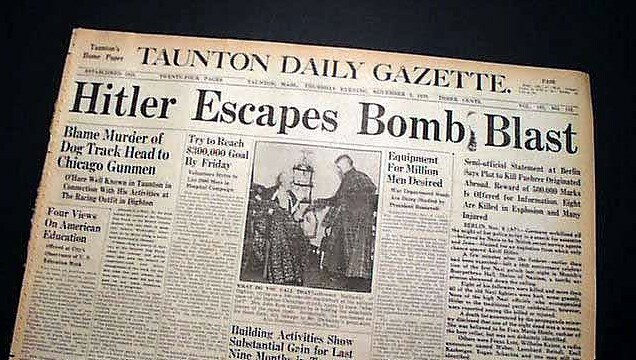 GERMAN ARCHIVES: On April 17, 1945, a special team of American Intelligence agents searched a castle in the Hartz Mts. belonging to Baron Witilo Griesheim. In room after room the agents found, staked in piles, hundreds of thousands of documents representing the entire archives of the German Foreign Ministry. Some documents dated from 1871. When the war ended, it took a fleet of over one hundred trucks to transport the archives to Berlin. The complete records of Goebbels’ Propaganda Ministry were uncovered in a salt mine 1,300 feet underground, near Grasleben. In a room in the Hotel Kyffhauser in Sangerhausen, were found the SS Marriage Bureau Files. The Bureau was responsible for investigating the background of all SS personnel and their brides-to-be. Permission was granted only to those who could prove to be 100% pure ‘Aryan’. 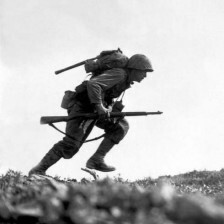 MILLION-TO-ONE: Around midnight on June 5, 1944, Private C. Hillman, of Manchester, Connecticut – serving with the US 101st Airborne Division – was winging his way to Normandy in a C-47 transport plane. Just before the jump, Private Hillman carried out a final inspection of his parachute. He was surprised to find that the chute had been packed by the Pioneer Parachute Company of Connecticut where his mother worked part time as an inspector. He was further surprised when he saw the initials of his own mother on the inspection tag. PIGEONS AT WAR: Thousands of carrier pigeons accompanied the troops to Normandy on D-day and brought back essential details to Allied HQ in a capsule tied to their legs. A special loft was erected at the secret code-deciphering center at Bletchley Park. Considered vermin by many, these pigeons, were first used as early as 1150 AD and played an important role in both world wars. News of Wellington’s victory at Waterloo first came by pigeon post. Many pigeons were specially bred in Belgium prior to 1939. Often used as a distress signal from downed aircraft, a pigeon named ‘Winkie’ escaped from a bomber after coming down in the English Channel in 1943. It flew back 120 miles to its base at RAF Leuchers in Scotland in time for rescue boats to reach and save the crew of the stricken bomber. Winkie was awarded the Dickin Medal (the animal version of the Victoria Cross), the first pigeon to be awarded with the medallion. Many of these pigeons were dropped by specially designed parachutes, to be picked up by members of the French Resistance. They were soon on their way back to Britain with important information. At this time the Germans were training Falcons to intercept the pigeons while in flight. Many were killed this way. 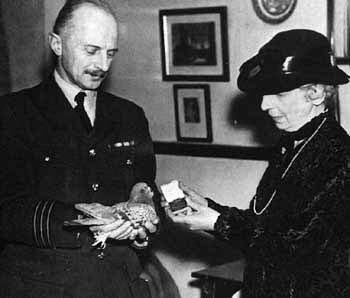 In all, thirty-two animal VCs (Victoria Cross) were awarded to pigeons during WWII. Founded by Maria Dickin in 1943, the Dickin Medal was awarded to any animal, bird or dog, displaying conspicuous gallantry during war. Other pigeons so awarded were: William of Orange, the hero of Arnhem; Mary of Exeter; Duke of Normandy, GI Joe, and Paddy – to name but a few. Managed MI-14, the office in charge of Pigeon operations, these pigeons were responsible for the saving of thousands of military lives. Check out Duncan’s entire website HERE, which includes Maritime Disasters, Third Reich Women, Assassination Attempts on Hitler, and Events by Year.